Bruce was no knee-jerk comic. His verbal finesse disguised a milestone of honest philosophy as humor and reshaped the paradigm of comedy. His magnifying glass broke through and changed forever every convention of social expression that had been known. 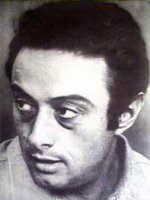 Lenny was the subject of numerous biographies, a hit Broadway play, and the award-winning movie, "Lenny," in which he was portrayed by Dustin Hoffman.